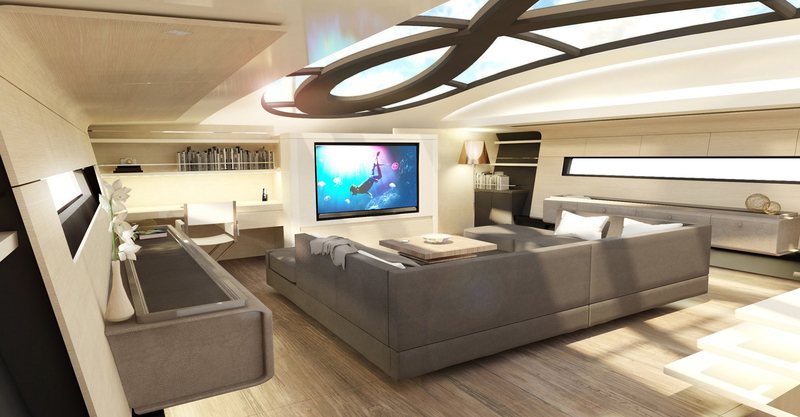 The new range of models from Infiniti Yachts feature interior and exterior design by Design Unlimited. 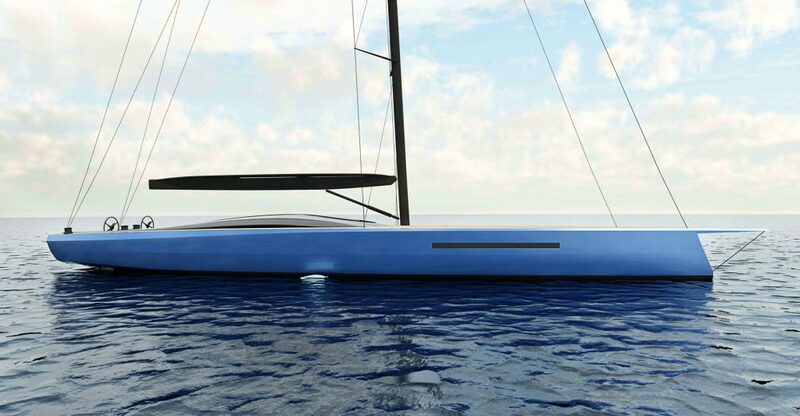 The 105 model, we believe, is the most exciting of these; with Infiniti Yachts’ highly successful incorporation of Dynamic Stability Foils now venturing into superyacht lengths. The Infiniti yachts offer a displacement lower than any other comparable yacht, significant noise reduction, and reduced heeling and pitching. 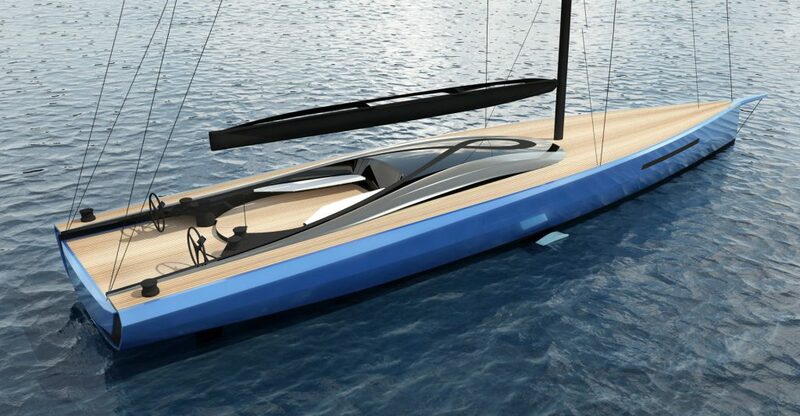 These yachts are lighter, with more righting moment (stability) than the competition, making for a yacht that is easier to sail, faster and more comfortable underway. For the owner, this means an extended cruising range in the limited time available and a happier family, who are able to enjoy the facilities and luxury aboard. There are two bow options available: a reverse bow – which has a more race-orientated and progressive feel, and a more traditional, vertical bow. Various seating options are available in the cockpit, designed to best suit how the owner spends time onboard. 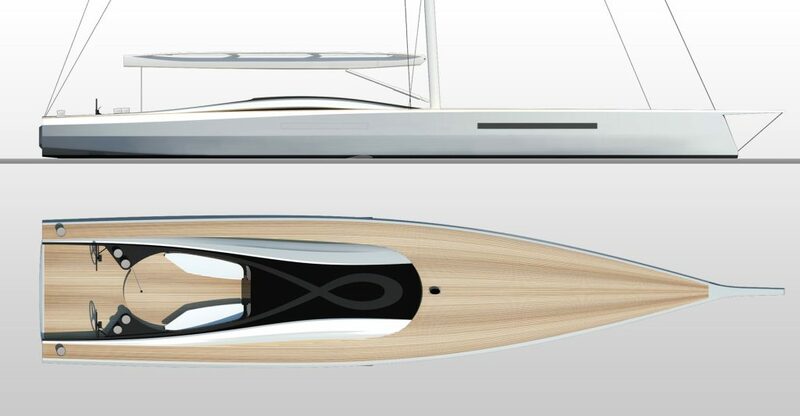 One arrangement is more suited to cruising and the other, as shown, is offers more open space for ease of crew movement when competing. The sleek glass superstructure echoes the curves of the Infiniti Yachts logo and the main saloon seating is positioned beneath this, allowing for a dramatic influx of natural light to the interior. This arrangement also eradicates the traditional corridor which leads through a saloon and creates a more dynamic and social space. 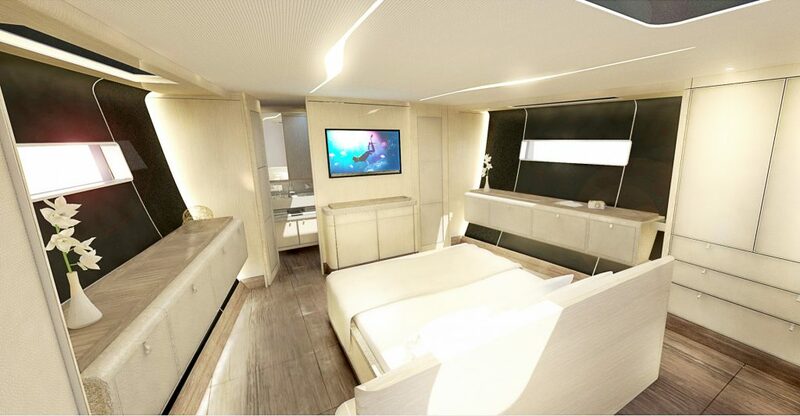 On the 105, accommodation is for six guests in three cabins.